A dragonfly is a spirit animal that symbolizes change and light. It invites people who have it as their totem for transformation and adaptability in life. Its symbolism is rooted all the way back throughout human history and it has become a part of the collective unconscious. 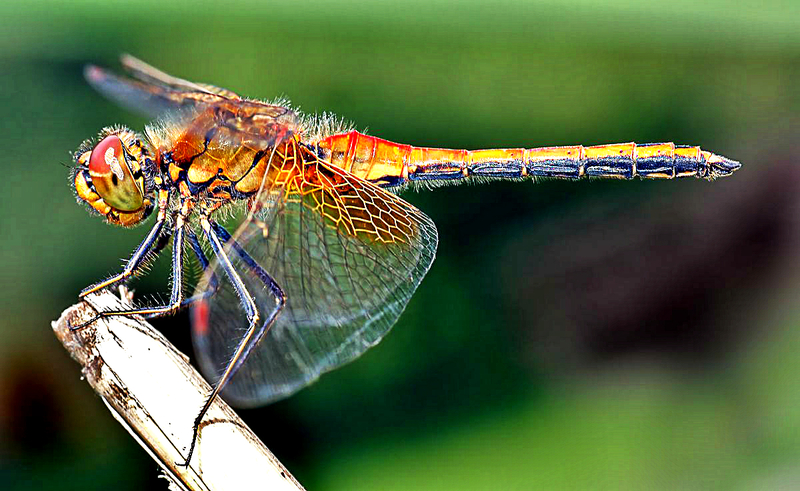 The dragonfly is the national emblem of Japan symbolizing joy and rebirth. It is a symbol of departed souls in Native American tradition. While in the Mayans, it is an emblematic animal of Ix Chel, the goddess of creativity. It was believed that she was brought to life with the dragonfly’s wings and magical songs. Aside from that, seeing a dragonfly too often carries significant meanings. It is a subconscious trigger, a symbol deep inside our unconscious mind that reveals messages for us to become conscious of. 1. It brings change and transformation. Dragonflies grow in water, move into the air, then fly. It is a symbol of transformation that invites those who have it as their totem to bring the needed changes in their lives and reach their highest potential. When a dragonfly shows up in your life, it indicates that you need to take the change. Dragonflies change color when they mature. You, too, have the ability to experience yourself differently when you open up yourself to everything that unfolds in your life. 2. It teaches adaptability to any situation. Dragonflies have amazing flight patterns that allow them to change direction swiftly without effort. This lightness inspires you to be flexible and highly adaptable in any situation. Whenever you are stuck in a situation, you can call on the dragonfly for help. 3. It inspires joy and lightness of being. When you have it as your animal totem, you have the power to take things lightly even when you are in a tough situation. You feel this lightness in your thoughts and feelings. The dragonfly spirit animal invites you to always keep a light and positive outlook in any situations of life. 4. It symbolizes the realms of emotions, going into your deeper feelings. The dragonfly’s characteristic of being always around with water, ponds, river and lake edges symbolizes the realm of emotions as water is a symbolism of emotions and the unconscious. When this spirit animal comes to you, you are called to explore your emotions in a light and joyful manner. 5. It opens your eyes to be on the lookout for illusions and deceits. The fascinating dragonfly has beautiful colors, light wings, and scintillating body that is often associated with light and illusions. If you have the dragonfly as your totem, you are encouraged to show your true colors and shine. With these, you have a fascinating influence that arouse the curiosity of others. When the dragonfly shows up in your life, it means you have to see beyond illusions. You must check for any situation or person whose intentions might be deceiving. 6. It connects you to nature’s spirits and realms of fairies. Dragonflies can be your allies to connect with the spirits of nature. They have fairy-like qualities that make them auspicious spirit animals working with the power of light and fairy realms. Hence, the dragonfly can bring forth the enchanting spirit of your own nature. When the dragonfly presents itself to you, you are invited to open up to the magic of nature and animals.